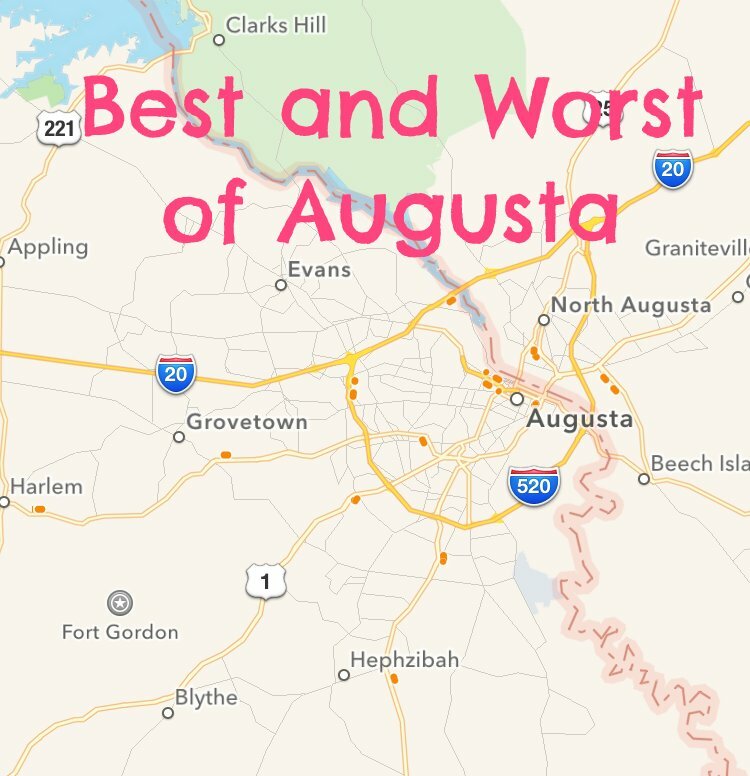 Home travel Best and Worst of Augusta. Savannah Rapids Pavilion. We had spring pictures taken here and LOVED it. It is gorgeous and quiet.. right along the water. So if you need pictures or a nice refreshing walk, this is the place. I definitely wish we would have discovered this area sooner and had more time to explore. Augusta Market. Definitely one of the best Farmer's market I have ever been to. Everything from food to homemade goodies can be found every Saturday along the Riverwalk from April to October. Parking can be rough - but it is definitely worth it. Trinity Hospital. Fort Gordon has its own hospital on base -Eisenhower, but they source out all of their baby deliveries to Trinity Hospital about 15 minutes from base. I LOVED my experience at Trinity. The staff was awesome. While I was in labor for 25 hours, I didn't experience any uncomfortable situations (Rob hated the bed provided for him... luckily they have renovated it since I gave birth in January of 2014.). I could go on for days about how much I enjoyed my experience. I can only hope delivering here on base is just the same as there. The Fort Gordon Spouses' and Civilians' Club. The first year we were there I was not involved at all. Socials were awkward as I knew no one. Finally I met some amazing Warrant Officer spouses that made me feel welcome and eventually one of them recruited me for the board. I spent two years as the membership chairperson and one year also doing the webmaster duties. Right before we left I was the expo chairperson, which was an adventure... but all experiences that help make me a more well rounded military spouse. I made lots of friends through the FGSCC and though it was not without it's dramatic moments, it was overall a relatively good experience that provided me with many positive memories of Fort Gordon and the surrounding Augusta area. Augusta Greenjackets. If someone offers to give you tickets to an Augusta Greenjackets baseball game, GO! In fact I think it is worth paying a couple of extra dollars to be in actual seats and not the general admission benches. We had so much fun every time we went. It's close to home and a nice and cheap outing for the whole family. Our friends. Hands down Augusta was hard to leave because of the amazing people we got to spend our three years with. Would Augusta have been the same without them? No. Not at all. So for them making Augusta what it grew to become, I am forever grateful. Fort Gordon and AIT. (For those that are not familiar with the acronym AIT, it is the schooling soldiers attend after basic training. ) Fort Gordon is a base FULL of schools. Which is rough for those of us that are permanent party. There are a lot of people in transition on the base at all times... which makes making friends hard. Eventually you start to not notice the AIT students overrunning the PX during evening and weekend hours... but at first it is definitely a shock. Limited shopping. Luckily there are two Targets and two Ross'... but many of the other stores there are only one of. Coming from a city atmosphere like Kansas City (where I lived prior to Augusta), that can be HARD because if your store is out of something you need, you are out of luck. 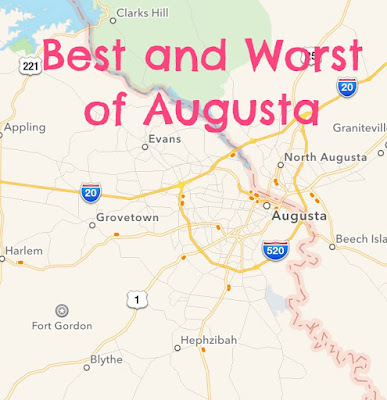 Augusta is not a small town by any means.. but it is also two hours to Atlanta.. one hour to Columbia, etc... so if you can't get it local, you have to drive. Bugs. Moving to Georgia I was not afraid of bugs. At all. I could handle a spider here or there. But NOTHING prepares you for the bugs in Georgia. I saw bugs I could never in my life dream of. It is terrifying. So watch out for insane spiders and fire ants... oh and spiders with babies on their back are the worst. You've been warned. Morgan Smith Realty. I have to put the rental company we rented through on blast. They dropped the ball SO many times. We had several storms that downed trees and branches in our backyard. Doing damage in some instances. I would call and get no response about if they needed to document it. When we had that fire in the attic, I could not get ahold of anyone or an emergency line until Monday morning and the fire happened on a Saturday. Which also means we were without A/C during that time too. When we moved out they violated our lease by trying to give us short notice to show the house. Or they wanted to show on a Sunday when our lease stated they could show it Monday through Saturday. 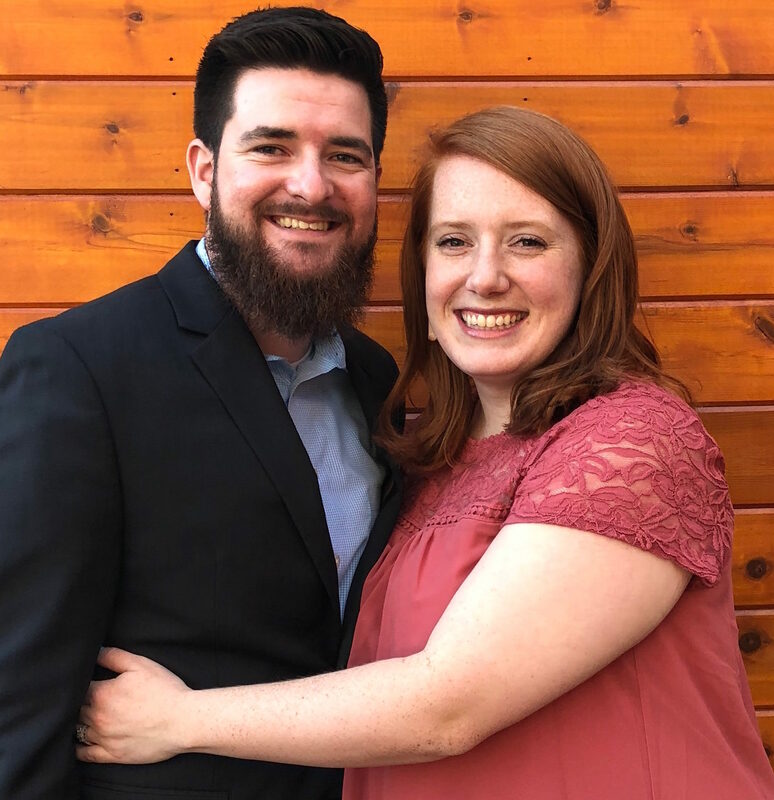 We were surprised to get some of our deposit back as most renters I am sure are... but we were disappointed to see that we paid for them to rekey the home for the next renters. Which I'm fairly certain is supposed to come out of THEIR deposit. We loved our house and its location, just hated our rental company! Overall we enjoyed our time in Augusta... but I was ready for a new adventure and so far, Clarksville has served up just that.. a new adventure. If you are set to PCS to Fort Gordon - PLEASE don't hesitate to reach out to me. I still know lots of people in the area and I can direct you to even more must see locations! So much of this reminds me of Polk haha...especially the limited shopping. Our closest Target is an hour away so all we have local is Walmart. It can be a little frustrating sometimes. We are also dealing with the constant influx of soldiers every month, when a new rotation is here you can always tell because the px and starbucks are packed. It's crazy! But I would be happy with the Target. All I basically need is a Target to be happy. We had scorpions in our apartment complex. Super fun with a cat. Augusta!! That's where my PawPaw lived. My mom is from Newnan, Ga. And her mom lives in Marietta. I love Georgia.